As the last birds disappear towards warmer climates, as the snow begins to fall, and the holidays approach, most people who are looking to buy or sell a home don’t think of this as the ideal season. 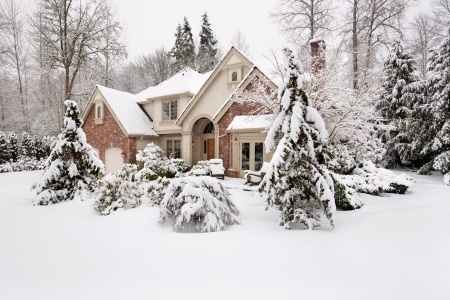 However, there are many reasons why it is a good time to buy or sell a property in the winter. Opportunities for buying and selling homes in the winter come partly from the fact that you will have less competition, and more commitment from a buyer or seller. Most people think it isn’t a good time to sell, so fewer people list. This means you will have less competition. A lot of people want to get their homes closed before the tax year is done, so if they have been looking, they may want to get things wrapped up before the end of December. Winter listings will appeal to anyone who is looking to get into a new home for a new year work transfer, so they can be in the area of their new job for the 1st of the year. Many people want to get moved in in time to have family Thanksgiving or Christmas at their new home, or before their childrens’ new school semester in mid-January. Homes are usually decorated beautifully for the holidays which makes them better for showing. Potential buyers will feel more at home. More unusual, less traditional homes can be especially easy to sell in the winter because they won’t be competing with more traditional properties as much. There are fewer people buying, so the chances of finding your ideal home and being successful on an offer increases. People who have been trying to sell since the spring may be more likely to give a good deal in the winter. If you are looking to buy a home in the winter, you will receive faster attention from real estate agents such as myself, as we will simply have more time and fewer clients during this time of year. The same may be true of mortgage lenders. Anyone listing their home for sale in the winter months is committed to selling. They have decided to go for it even though winter is considered a “buyer’s market”, so the deal is more likely to go through. Searching for a home in the winter months can tell you a lot about the properties you are looking at. If there is snow on the roof after a fresh snowfall, you can tell the home is well insulated, whereas if there is no snow it could be losing costly heat. Tour a house on a windy winter day and you will quickly discover how drafty the doors and windows are, and how warm, or cold it feels. If these aren’t enough reasons to consider listing your home for sale, or looking for a home to buy in the winter, here’s one final reason: it won’t hurt, so why not give it a try? Contact Us!